Born at Belfast, Ireland on 10 September 1880, he attended Trinity College (Dublin) and Queens University (Belfast). He emigrated to Canada in 1913 and taught at Teulon School for two years. He was the Principal of Stonewall School (1915-1923). He moved to St. Vital in 1923 and became the Principal of Norberry School (1923-1935, later Glenlawn Collegiate). He then returned to the classroom as a teacher at St. John’s-Ravenscourt School and also worked for several years at the Correspondence Branch of the Manitoba Department of Education. He was an active member of the Manitoba Teachers’ Society, receiving a Life Membership in 1969. He was a Trustee of the St. Vital School Board for seventeen years and served for two years as Chair. 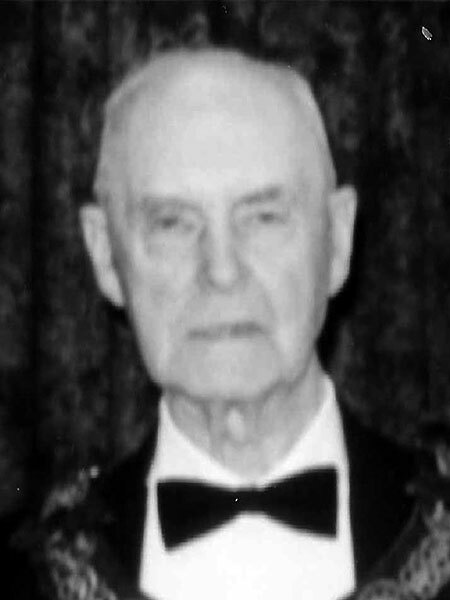 He was a member of the Mentors Club and the Masons, serving as Grand Master of the Grand Lodge of Manitoba in 1944. He died at Winnipeg on 5 June 1972 and was buried in the St. Vital Cemetery. He is commemorated by Samuel Burland School. Obituary, Winnipeg Free Press, 7 June 1972, page 39.